HostCentre is a global internet service provider, web hosting and related services. 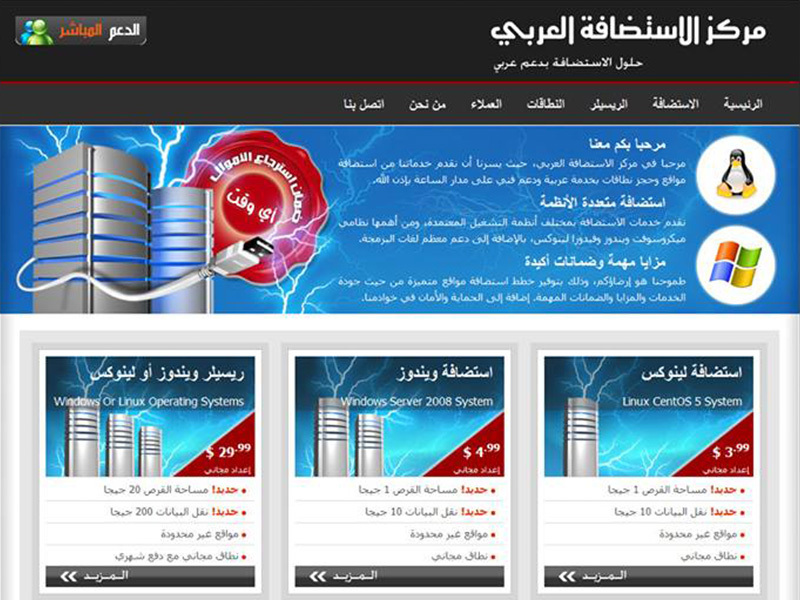 Started in 2010, HostCentre Start web hosting services to customers in Arab countries. then it has grown into providing internet services from simple shared hosting to didecated servers worldwide. HostCentre has clients worldwide, they are all support us to success and offer best services. Thanks for all. Started in January 2010, Our website representative of the time. Hostcentre started offering very basic hosting packages for linux and windows servers. Our logo was the name of Arabic Host Centre, the website design has simple black and blue colours. it was very interesting, yes interesting is a polite word. 1GB of web space and domain name for just $3.99 per month. it was the first hosting package we offer online.